The Mayor of a Thai island in Thailand has launched an attack on the British media claiming the island’s reputation is being damaged by ‘spurious’ news reports. Chaiyan Turasakul , Mayor of Koh Tao said told the Khao Sod (Fresh News) newspaper in Thailand that he was angered by unspecified ‘British media agencies’ who have suggested the recent death of Christina Annersley, 23, was connected to an alleged ‘mafia syndicate’ on the island. “It may mislead foreign tourists who have never been to Koh Tao to think that Koh Tao is full of mafia who like to kill or exploit foreign tourists,” Chaiyan said. 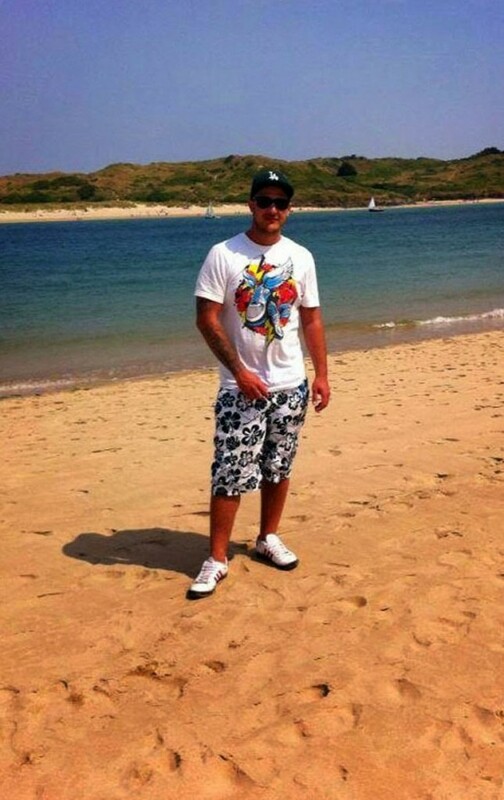 Christina Annersley, 23, was found dead in the ‘In Touch’ beach resort last week. Thai Police say there are no signs of foul play and Christina’s mother has stated her daughter died from natural causes. The ‘In Touch’ beach resort is owned by the same island family who own the AC Resort on Sairee Beach, Koh Tao. 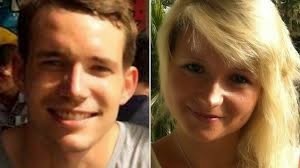 It was at this resort that David Miller and Hannah Witheridge are reported to have had an argument before their bodies were found on Sairee Beach last September. Both were murdered. Hannah was also raped. Two young 21-year-old Burmese migrant workers have been put on trial for their murder – but few people in Thailand believe they are guilty. 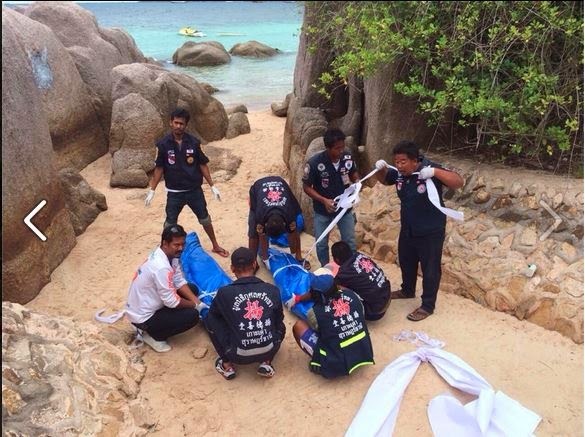 The island of Koh Tao in the Samui archipelago currently has a serious public relations problem due to mysterious deaths of foreigners there and the island’s lax attitude to tourist safety. Deaths have risen sharple from a previous average one or two a year. 1 Jan 2014: Nick Pearson, British, found dead after allegedly falling into rocks. Family does not believe Thai explanations. REPORTED ACCIDENTAL DEATH. He added: “IT is a living nightmare, we have to face the awful reality that we might never get the answers we need. I hope one day somebody will get to the bottom of what is happening on Koh Tao and what really happened to our wonderful son”. COMMENT: Does Koh Tao have a problem? It seems so. So what does the local Mayor do? He goes on the attack when it is suggested things are not quite right on the island – just like the headman in Sairee Beach when his son was accused. This is not going to solve the problem. If the Mayor cannot convince the Thai people that things are okay on Koh Tao, he certainly is not going to convince the foreign press. Did Drew Noyse got his 14 year old niece by marriage pregnant? No body is interested……its acceptable in Thailand so I'm hearing.
" If the Mayor cannot convince the Thai people that things are okay on Koh Tao, he certainly is not going to convince the foreign press." That comment says it all. I know of no Thai who believes in the fabrication put up by the Thai authorities. It didn't help of course that the Met and the FCO made a pig's breakfast of their white wasing comments. Reminiscent of toadying schoolboys sucking up to teacher. Yes, I know we have no leverage with Thailand. But the British government should not kow tow to countries such as Thailand and China merely because of the high currency reserves those two countries have. The media need to do more research and be more investigative. There is a serious cultural problem that needs addressing in Thailand. The inability of officials to admit wrong doing or accept criticism even if it is completely correct. The patronage system creates a hierarchical system with a master / servant relationship between perceived power brokers and their lackeys. Even when caught red-handed there is always denial and the excuses concocted are just plain ridiculous. Add in a bit of nationalism and xenophobia and it creates these types that will complain and say anything to protect the status quo. Who are they trying to fool and bluff? 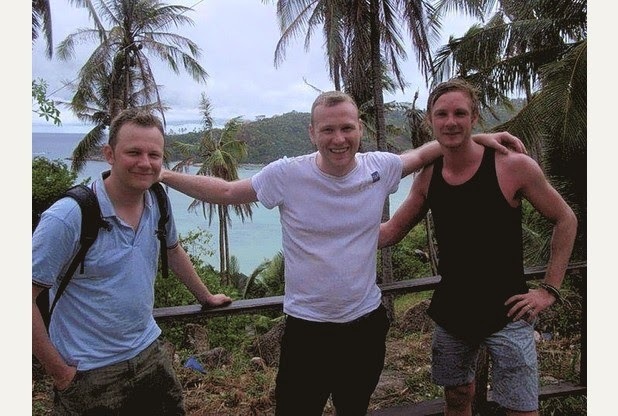 Everybody knows that these islands like Koh Tao, Phangan and Samui are riddled with drugs. We all know this. When was there ever a major drugs bust on any of these islands? Yet, drugs are readily and always available. Many Thai officials come across as being corrupt just by their constant denials of the truth. Thailand is a hopelessly corrupt country, just denying and deflecting criticism just makes things worse. Many of these officials are wealthy far beyond anything they could have legally earned. Many police are also wealthy beyond their pay grade. They just come across as complete hypocrites when they whine about people exposing the dirty deeds occurring right under their noses. What do they expect? All these people have died or been murdered on this island and we're just supposed to shut up and swallow their version of the truth? Some greedy bastards will say anything or do anything to save face and protect their interests. Well said Tommy. Spot on. That's the problem, Tommy we do tend "to shut up and swallow the truth". We moan but can't do anything constructive within Thailand as it is its own sovereign state with its unique culture. The Thais know the score but the majority – whatever those people who don't talk to ordinary Thais say – don't want much change from the status quo. AD bravely takes issue with cases that affect farangs and can now do so more strongly as he is out of the country. Contacting our home politicians is the only thing we can logically do but rarely gets us anywhere. Cameron doesn't read AD or other Thai forums and is not concerned with those who are unlikely to vote in elections. He, as all UK politicians when in office, is more concerned with not upsetting Thailand. And I have why explained before. The media don't pick upon it. Look how they covered the FCO and Met misinformation on the Hannah murder. It's election year and I've written to him listing the same murders that AD has enumerated. Can't do more, certainly no point ranting within Thailand.